Itty Bitty is shy upon first meeting him but warms up once he knows you are okay. This big guy will need lots of positive attention, a quiet home and unconditional love. 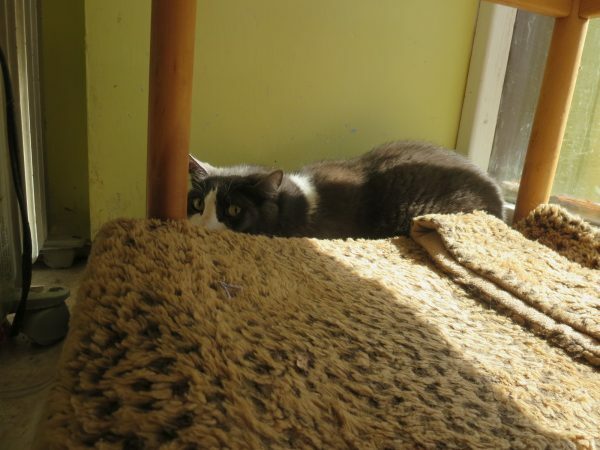 If you would like to meet this beautiful boy, come sit quietly in our Sun room, he is there hiding somewhere. With a little coaxing, you can bring him out of his hiding spot. This guy deserves everything life has to offer a feline and more.